The NIEHS Environmental Health Science FEST took science into the community with a film festival and an evening of 3-minute science talks. 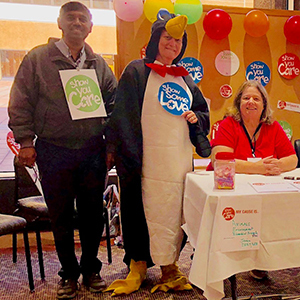 With more than thirteen hundred individuals registered for the NIEHS Environmental Health Science FEST, organizers planned two events to take science into the community in informal and creative new ways. Both were held at well-known venues in Durham, North Carolina. A film festival at the historic Carolina Theatre Dec. 7 showed how environmental health research is translated for public health awareness and action. And the public was invited to the popular Motorco Music Hall Dec. 6 to hear — and vote on — environmental health scientists explaining their research in 3-minute talks. For the first-ever NIEHS environmental health science film festival, organizers selected 18 entries from filmmakers from across the country. "We really have a very exciting lineup," said the evening’s host, Symma Finn, Ph.D., NIEHS program officer. The first half of the program included films focused on research on exposures to environmental chemicals and recommendations for actions to address the exposures. After an intermission, films about community engagement and environmental justice were shown. The program kicked off with an NIEHS film highlighting the institute’s 50 years of scientific research. The films that followed told stories of communities and scientists engaged in understanding toxic environmental exposures. Other films addressed how people are affected by air pollution, and the importance of chemical safety awareness for firefighters (see text box). 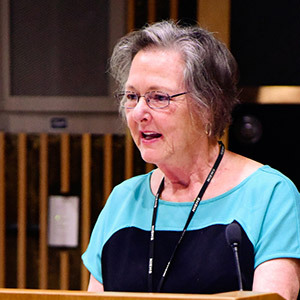 "The films carry important and powerful messages," observed Gwen Collman, Ph.D., director of the NIEHS Division of Extramural Research and Training (DERT), which sponsored the event. After the showings, filmmakers participated in an interactive discussion with audience members, answering questions about challenges they faced in producing the films and the influences their films had on individuals and communities. Joseph "Chip" Hughes Jr., director of the NIEHS Worker Training Program and the man behind the poignant film about first responders to the September 11 disaster “When Duty Calls,” pointed out that people enjoy and need films that deliver important messages. Throughout the night, enthusiastic applause conveyed the truth of his comment. The Environmental Mutagenesis and Genomics Society (EMGS) sponsored an evening of 3-minute science talks, with EMGS President Tom Wilson, M.D., Ph.D., on hand and enjoying the lively event. 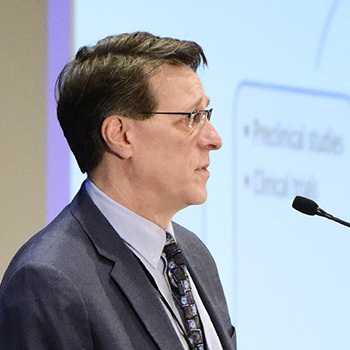 Nigel Walker, Ph.D., deputy director of the National Toxicology Program (NTP), emceed the contest between nearly 20 students, postdocs, and scientists with more than 40 years in the lab. "It’s great training for scientists, especially students and trainees," said organizer Kristi Pettibone, Ph.D., from DERT. "We all need opportunities to talk about our research and to communicate complex concepts in easily understandable ways." The winner, chosen by a panel of three judges, was Matthew Phillips, a M.D. and Ph.D. candidate at University of Miami. He presented work on methicillin-resistant Staphylococcus aureus (MRSA) infections. "Now that we have an introduction to MRSA, let’s talk about whales," he said, in one of many lines that drew laughter from the audience. Phillips explained how his research helped pinpoint the human sources of MRSA infections among pilot whales rescued from a mass-stranding event in Florida. "I love the storytelling aspect of science, and this event gave us the chance share some of those stories," he said. Second place went to Ken Liu, from Emory University, who researches acetaminophen metabolism and drug interactions. Liwei Weng, Ph.D., from the University of Pennsylvania, won third place for her talk on asbestos exposure and mesothelioma. People’s Choice went to Sreenivasa Ramaiahgari, Ph.D., an NTP postdoctoral fellow who described 3-D cell culture models. 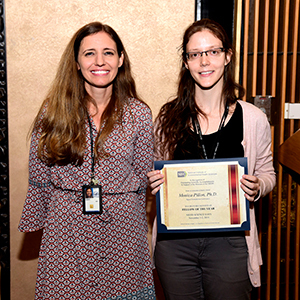 The Organizer’s Award, an impromptu category, was given to Madison Spier, from the lab of Robin Fuchs-Young, Ph.D., at Texas A&M University. She answered the last-minute call for more contestants. "I’ve never given a talk before," she began, then delivered an entertaining and concise summary of her research on glucose metabolism and mammary tumors in the offspring of diet-induced obese mice. "I was excited to have the opportunity to discuss my research in front of such an awesome and open audience," she said later. "Tonight is about the energy and enthusiasm of communicating science," said Walker, presenting Spier’s award. "And Madison embodies the spirit of this evening." NIEHS History & Research: 50 Years of Progress. Filmmaker: NIEHS Office of Communications & Public Liaison — Celebrates the 50-year history of NIEHS. Zebrafish Biosensor. Filmmaker: Robert Tanguay, Ph.D., Oregon State University — Explains the use of zebrafish in toxicological assays. From Mineral Springs to Toxic Town. Filmmaker: Jane Keon, Pine River Superfund Citizen Task Force — Tells the story of the Pine River Superfund site in St. Louis, Michigan and the community’s fight for environmental justice. Arsenic in Well Water: Treatment Options. Filmmaker: Stuart Braman, Ph.D., Columbia University — Describes the implementation of filtration systems for removal of arsenic from well water. ECU Town Creek Project. Filmmaker: Jo Anne Balanay, Ph.D., East Carolina University — Portrays the concerns of researchers monitoring environmental toxicants in North Carolina’s Town Creek. The Deadly Impact of Airborne Particles. Filmmaker: Bruce Lanphear, M.D., Simon Fraser University — Describes how ultrafine particles in air pollution affect human health. University of Kentucky Superfund Research Center. Filmmaker: Bernhard Hennig, Ph.D., University of Kentucky — Describes research on the interactions between food and toxic chemical exposures. Firefighter Safety Alert. 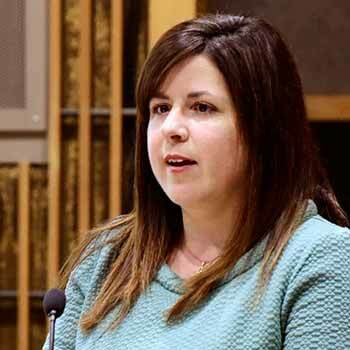 Filmmaker: Erin Haynes, Dr.P.H., University of Cincinnati — Raises awareness of the health risks to firefighters and ways to prevent toxic exposures. When Duty Calls. Filmmaker: Chip Hughes, NIEHS Worker Training Program — A tribute to the New York City first responders in the September 11, 2001 attacks. REACH Ambler: Manufacturing Ambler; From Factory to Future; Imagining Ambler. Filmmaker: Frances Barg, Ph.D., University of Pennsylvania — Details the social consequences of asbestos contamination in Ambler, Pennsylvania. Mercury: From Source to Seafood. Filmmaker: Laurie Rardin, Dartmouth College — Explains the origin of mercury in oceans and how to safely consume oceanic fish. Disrupt the Disruptors. Filmmaker: Brenda Koester, University of Illinois at Urbana-Champaign — Explains how environmental toxicants and other endocrine disruptors can affect human health. Overworked & Under Spray: Young Farm Workers’ Pesticide Stories. Filmmaker: Joanna Welborn, Student Action with Farmworkers — Explores the risks young farm workers face due to working conditions and exposure to pesticides. Project TENDR (Targeting Environmental Neurodevelopment Risks) Goes to Congress. Filmmaker: Irva Hertz-Picciotto, Ph.D., University of California, Davis — Shows scientists and others informing legislators about the importance of decreasing exposure to environmental toxicants. Stakeholders. Filmmaker: Haguerenesh Woldeyohannes, Emory School of Nursing — Explores the potential disparities faced by pregnant black women and their infants. Red Talk 004: Native Environmental Health Equity. Filmmaker: Johnnye Lewis, Ph.D., University of New Mexico — Examines the potential effects of mine waste in tribal communities of New Mexico. Mayah’s Lot. Filmmaker: Rebecca Bratspies, J.D., City University of New York — Animated film explaining the concept of environmental justice. Years of Living Dangerously – Episode 8: A Dangerous Future. Filmmaker: Sabrina McCormick, Ph.D., George Washington University — With actor Matt Damon, features negative health effects of heat and global warming.